With all the stresses of modern American society what can women do to improve their health? One simple thing that is free and can improve our day to day psychological and physical well-being and functioning along with our long term health is getting a good night’s sleep. Remember when we were children and our parents scheduled our bedtime; it is time to wind the clock back and recover those healthy sleep habits. American women, Delawarean women and women around the globe are often over stressed with long work hours, childcare and eldercare duties along with often overscheduled leisure activity. Adolescents, millennials and middle age women may be constantly plugged in to work or school computers, iPad, cell phones and when we leave work we may be trailed from work and school by plugging back in to our home computers, office or friends. We may be attempting “24 hour” multitasking. As individuals in this modern society we are well aware that we do not have much time left for sleeping. Sleep is as necessary as water and oxygen for staying alive; however modern society and many workplaces have not taken this into consideration with perhaps the exception of the still often maintained Spanish afternoon siesta still practiced in many parts of Spain. Insufficient sleep can wreak havoc in our already overly busy lives. Insufficient and disrupted sleep and/or disrupted poor quality sleep can cause neurocognitive changes (i.e. decreased memory, concentration, poor work and school performance); increased risk of car accidents and poor mood. How much is enough sleep? Most adults would sleep about 8.1 hours if left alone without any social pressures or responsibilities, and most adolescents would sleep a little longer, about 9 hours in fact, given the opportunity. Our bodies operate on circadian rhythms which are controlled by our brain. It turns out that proper hormone, immune and cardiovascular functioning is controlled by these circadian rhythms that require sleep to stay properly set. When our circadian rhythms are unset by societal pressure of long work days, shift work, overscheduled lives and not enough sleep our bodies do not function well. Many are aware that in our modern busy lives we are eating out more, moving less, outside less often, sitting more and picking up quick convenient meals which are often full of excess carbohydrates which have combined to create an overweight and obesity epidemic. What may be a surprise is that lack of sleep; this insufficient sleep is contributory to obesity, with disordered Leptin (a hormone) levels. This massive overweight/obesity epidemic has not spared our small state of Delaware; we unfortunately are right on track with the rest of the United States and obesity is disproportionately affecting women. The NHANES (Nutrition Health Annual National Survey) demonstrated that there has been an alarming avalanche of increasing obesity prevalence among school age children, adolescents, men and women dating back to 1980 through 2014. From 1976 – 1980 through 2013 – 14 adolescent obesity increased from 5 to 21%. The prevalence among adult men increased from 1988 through 2012 with stability between 2013-14 at an unprecedented high prevalence of 35%. Unfortunately the prevalence of obesity in adult women surpasses male prevalence with further increase to a disproportionate 40%. Even worse, individuals are beginning to perceive their overweight or obesity as “normal weight” likely due to this epidemic with the majority being overweight or obese. Obesity is not a cosmetic or derogatory term like “fat” but is a health term which is excess weight or adipose (fat cells) and is associated with increased morbidity (health problems). The medical definition of obesity is the height to weight ratio (meters squared/kilograms) greater than or equal to 30. Obesity is associated with increased health risk, increased cardiovascular risk (hypertension, diabetes, elevated cholesterol) and SLEEP APNEA. This obesity has caused an epidemic of a sleep disorder called SLEEP APNEA. A common cause of sleep apnea is buildup of excess adipose, fatty tissue in the back of the throat around the airway. This can cause frequent arousal, awakenings and low oxygen levels at night. Sleep apnea further increases cardiovascular risk, diabetes and can cause hypertension. The high chance of having sleep apnea comes at the intersection of the obesity epidemic in America, Delaware and globally. The prevalence of sleep apnea is between 15 to 30% in males and in females between 5 to15 % with further increase during menopause. This combination of obesity, sleep apnea and insufficient sleep is the perfect milieu for poor health. If you snore, are overweight or obese, tired and fatigued, have morning headaches, difficulty concentrating, feel drowsy while driving, smoke, have hypertension, heart disease, prior stroke, diabetes, kidney disease or family history of sleep apnea, talk to your healthcare provider about your sleep. Sleeping more and better is a great way to improve your health; start today and talk to your healthcare provider if necessary. Take charge of a healthier life and ZZZZ your way to better health. Good Luck. 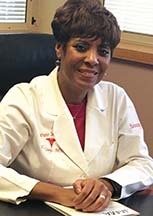 Carole Guy, M.D. has been a pulmonary and sleep physician in private practice in Delaware for 25 years. She is board certified in Sleep and Pulmonary Medicine. She received internal medicine and pulmonary/critical care training at Temple and Hahnemann Universities. She later completed a Sleep Fellowship and epidemiology training at the University of Pennsylvania. Dr. Guy is very interested in health care disparities and believes improved patient education of all communities, access to culturally competent healthcare and healthcare research which is inclusive can help to decrease the healthcare gap. 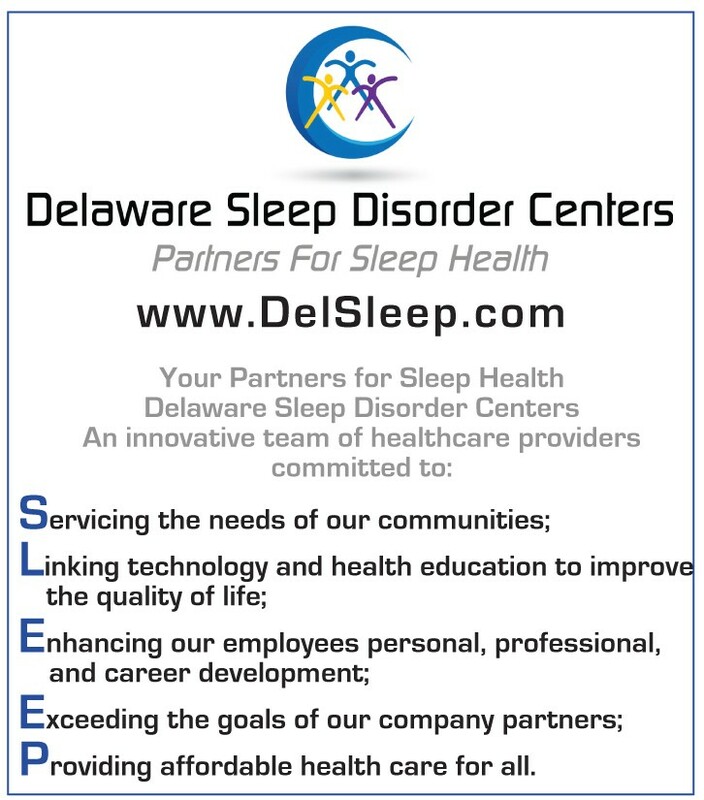 She is presently a Medical Director at Delaware Sleep Disorders Center. ← Previous Story Red, Cracked Sore Corners Of The Mouth? Next Story → Laser Periodontal Therapy!